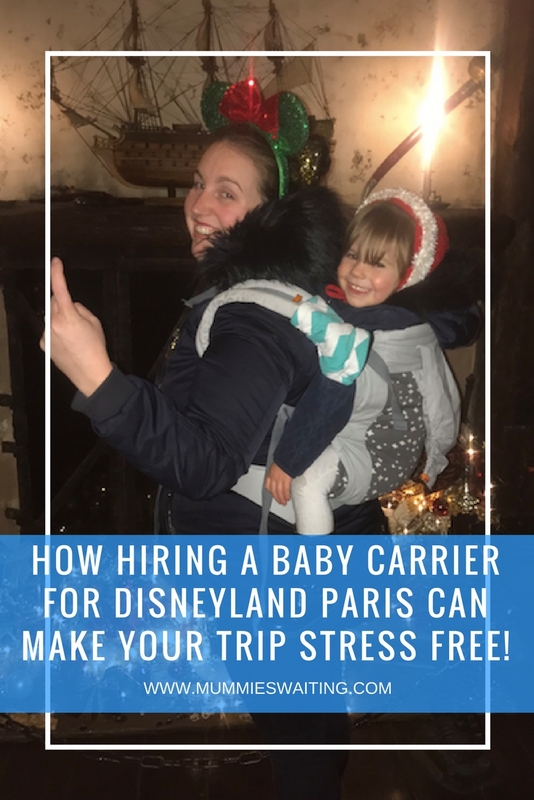 How hiring a baby carrier for Disneyland Paris can make your trip stress free! Did you know you can’t take your buggy into the ride queues or shows? Your baby is going to spend a LOT of time in your arms, so you might as well make it more comfortable for you both! 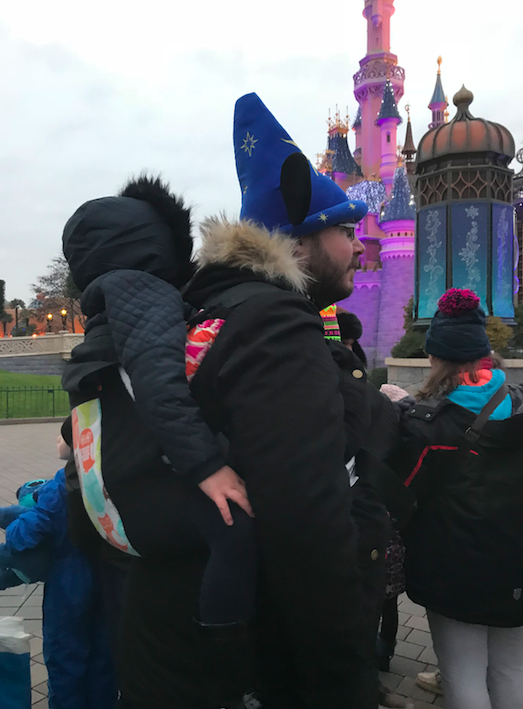 Have you thought about hiring a baby carrier from It’s a Sling thing to take to Disneyland Paris? Would you know where to start if you wanted to? 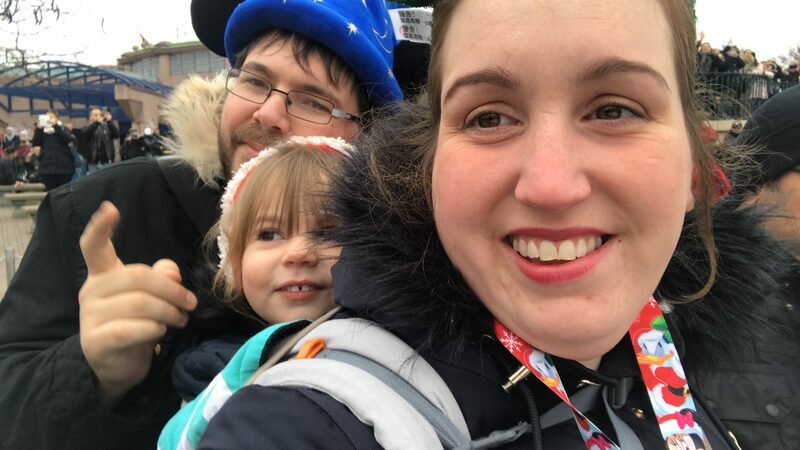 I teamed up with It’s A Sling Thing to hire 2 carriers and take a trip to Disneyland Paris BUGGY FREE! You can head over to It’s a Sling Thing’s website and start by taking a look at all the carriers available, the prices to hire and any other information you are looking to start with. I started with a phone call advice session (which could have been done via Skype, over the phone or via messenger), where we discussed any previous history carrying, what I was looking for, any disabilities affect use, my children’s rough weight, and ages. Throughout this discussion, Jenni was matching us with the best carriers for our needs. Once we had decided on the best option, Jenni emailed me everything so that I could look over it and make a final decision. I then headed to the website and chose the carrier designs I loved best (all the pretty ones to chose from!). Then once everything was agreed, the carriers were on the way to us. The amazing thing about It’s a Sling thing is, you don’t have to go to any groups or meet with anyone. When you have a busy life and you just need a carrier for your trip, it’s just a few clicks away. Both carriers were sent out to me in a postal bag which contained all the information I needed and a return bag with paid postage. Perfect, no hidden costs! All you have to do is take the carriers back to the post office at the end of your hire and grab a receipt for proof of postage. On to the exciting bit now. So why, you may ask will a carrier make my trip stress free? Here are my top 5 reasons. Parades are hard with young children, you either have to arrive really early to get a great spot or you need to hold your child up high enough so they can see (which is often not the safest of situations) The best thing about the carrier is being able to see the parades and fireworks hands free. (Leaves you able to eat your candy floss 😉 ) You know your child will be safe in the crowd but will also have a fantastic view too. You don’t have to worry about buggy theft! 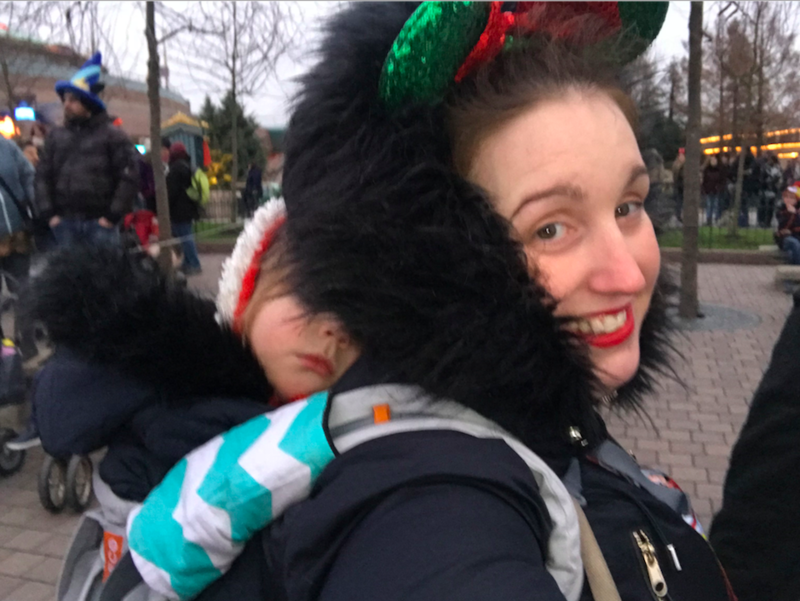 It’s sadly very often that buggys seem to be stolen while outside the rides at Disneyland Paris, with a carrier you can just leave it clipped to your waist the whole time. Using It’s a Sling Thing was a fantastic experience. Both Jenni and Emily were amazing the whole way through the service, they have always been on hand to answer any and every question I’ve had, they’ve walked me through their service and given me amazing advice. Not only did using the slings make our trip a breeze, but it also taught me that Naminé is capable of much more than we give her credit for too. 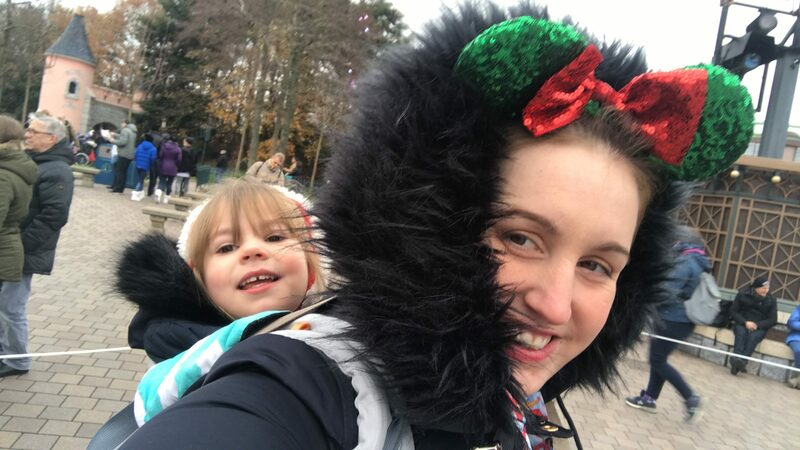 I will never travel to Disneyland Paris with a buggy again, but if I did, I would be heading to It’s a Sling Thing first to work out which carrier is best to go along with my buggy to make the trip extra magical! If you are looking to buy your own carrier, then I recommend heading over to the It’s a Sling Thing website and taking a look there, If you are looking for the perfect handbag for Disney that will fit in all the nappies, but none of the fuss, then you can use my affiliate link to grab the Mum on the Run bag, it’s the perfect size for a Disneyland Paris trip. 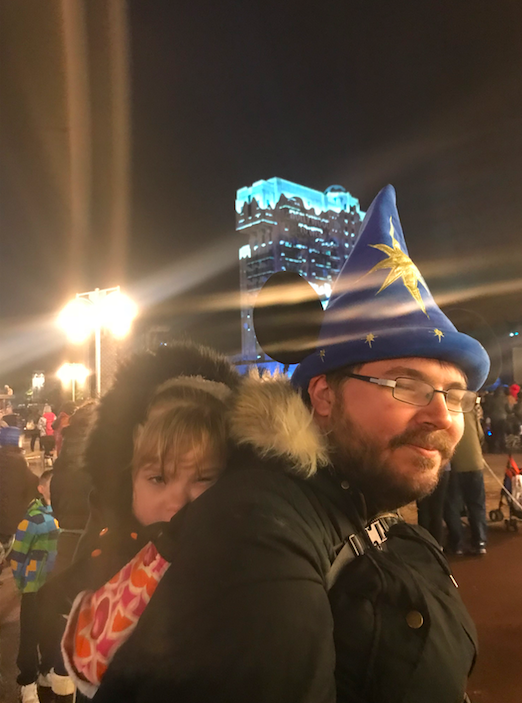 For more posts on Disneyland Paris or to see the Pros and Cons of wearing in the park, I recommend this post on Babywearing at Disney or if you are looking at booking, check out the benefits on staying onsite vs offsite. Right now you can stay onsite for £200 less than staying onsite, Looking for a deal? Here is one I found today. A family of 4, including the Eurostar for 4 nights/5 days just £1025! Click the image below to head over to Magic Breaks.